What can I say...Anita was AWESOME!! 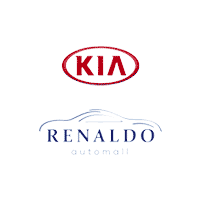 Everyone at Renaldo Mia was excellent, professional, courteous and helpful! They made the process perfect!! Could not have asked for anything more!! If you haven't talked to them, please do so...you will not be disappointed!! Bought a Santa fe here for my husband. He loves it. Great staff all around. Very wonderful buying experience. Very helpful.sales girl answered all my questions knew about the vehicle took a test drive real nice vehicle.